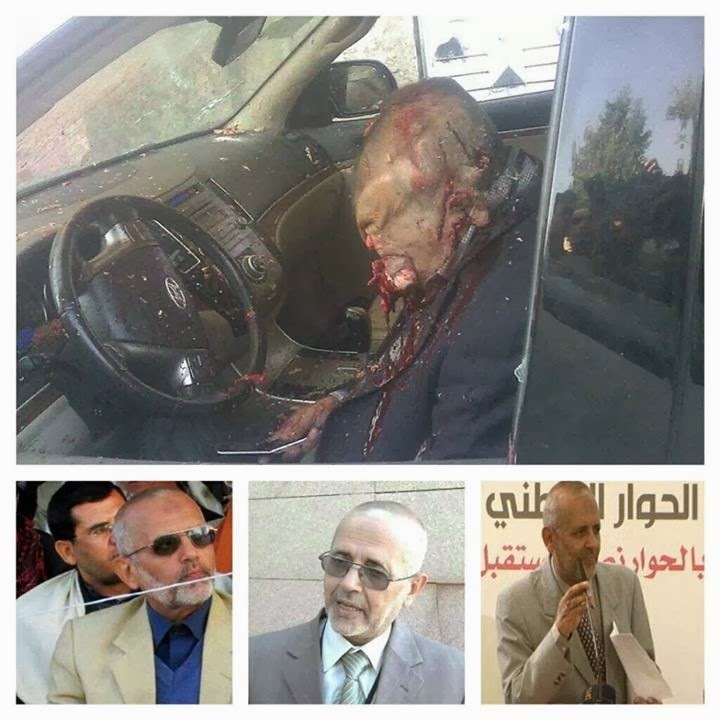 "On the same day one NDC representative was assassinated and the son of a well-known political figure survived an alleged assassination attempt in Sana’a, the National Dialogue Conference (NDC) today approved its final comprehensive document, which was 10 months in the making." 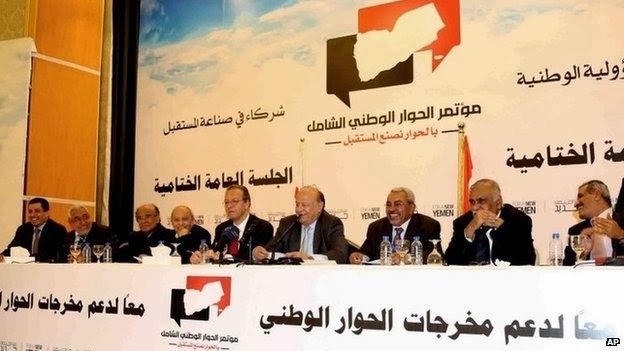 "Yemen's National Dialogue Conference has agreed a document on which the new constitution will be based. President Abdrabbuh Mansour Hadi will reveal details of the rival political, tribal, religious and social groups' vision for a new political system at the end of the conference on Saturday. It is believed to include dividing the country into a number of regions that enjoy semi-autonomy."